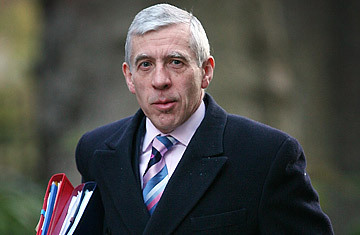 Lord High Chancellor of Great Britain and Secretary of State for Justice Jack Straw. You're a top politician traveling in Africa for a charity event when the loss of your wallet leaves you stranded without cash or credit cards. Who you gonna call? Would you mass-e-mail voters back home begging for a quick loan? Hundreds of constituents of British Cabinet minister Jack Straw found this message waiting for them. "I misplaced my wallet on my way to the hotel where my money and other valuable things were kept. I would like you to assist me with a soft loan urgently with the sum of $3,000 US Dollars to settle my hotel bills and get myself back home." The plea came from "The Right Hon Jack Straw MP." Still, if the incident left him feeling a little unloved, it provided a brief distraction from a roiling controversy. On Wednesday, Straw blocked publication of minutes of two Cabinet meetings held in 2003 at which ministers debated the legality of the Iraq war. At that time, Straw was Foreign Secretary. Now, as Justice Secretary, Straw explained his decision not to publish the minutes on the basis that privacy is an essential precondition for high-quality debate. "Cabinet is the pinnacle for the decision-making machinery of government" he told the House of Commons. "Confidentiality serves to promote thorough decision-making." As Straw's e-mail correspondents may be reflecting, confidentiality is useful in other areas of government too. Straw maintains that his brush with phishers did not compromise voter privacy. "I am assured there's no evidence that confidentiality of constituents was affected," he said.